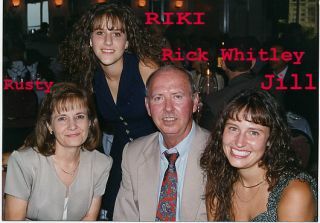 Rick Whitley with wife Rusty and daughters Riki and Jill. I live in Safety Harbor, Fl which is next to Clearwater. I married after I graduated from ISU. Viet Nam was going on so I signed up with Military Intelligence. I was a Special Agent for Counterintelligence. Then I accepted a management position with the railroad at Avon, In. I was promoted and moved all over the place. Brownsburg, Findlay, Oh, Marion, Oh, Cin, Oh, Toledo, Oh. 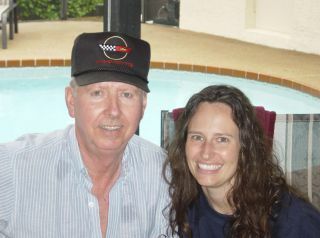 I retired at age 40 and moved my family to Safety Harbor and have been here for the last 17 years. I’m still married to the same gal, Rusty, that I met in college. We have been married for 34 years. I have two daughters, Jill and Riki. Both met guys in college at USF and are married now. Rick Whitley with daughter Jill. 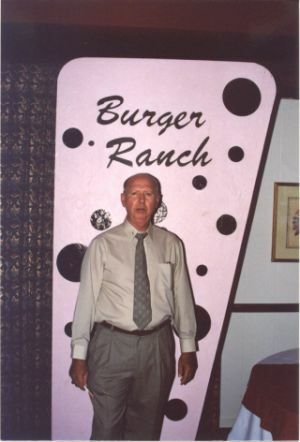 Picture from the 1993 reunion at Jerry Cooper's house. 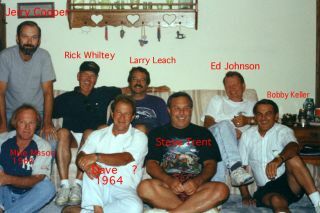 Jerry,Rick, Larry Leach,Eddie Johnson. Front row-Mike Mason, Dave Wethington, Steve Trent and Bobby Keller. 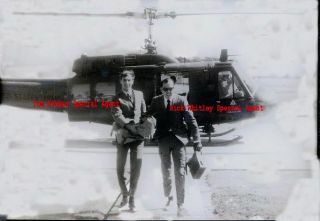 Rick Whitley from his days as a special agent during the Vietnam conflict. Rick at the 40th reunion.